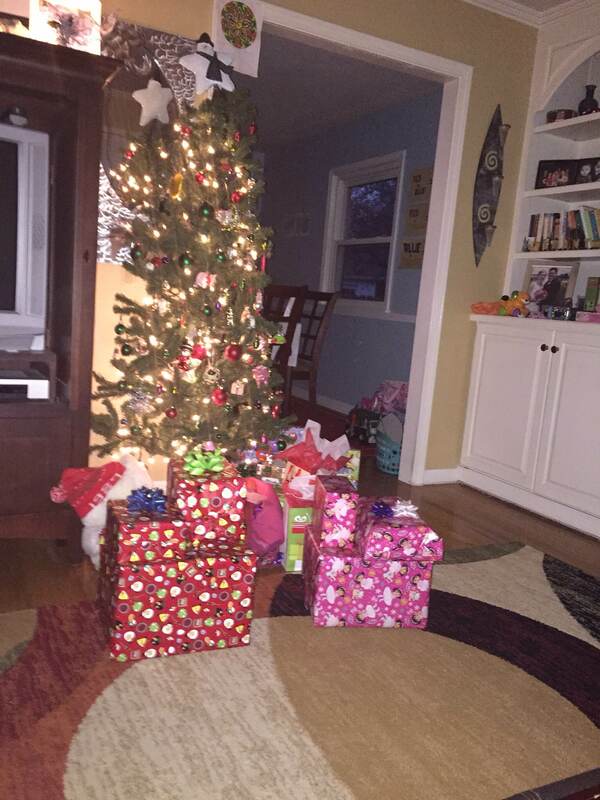 Christmas 2014 is in the books. We did things a little differently this year. Last year when the kids finished opening presents they were quickly rushed away from their new toys for our traditional Christmas brunch with my family. We’d been doing brunch for many years. But last year, I didn’t like the feeling of rushing out. It was time to make a change. On Christmas Day this year we stayed home. Christmas Eve included a trip to Jeremy’s grandparent’s house and church and I think we hit the sweet spot in getting the kids to bed before a total meltdown. Grant was asleep by 8:00 and we didn’t hear a peep until 7:40 Christmas morning. That was a Christmas miracle! 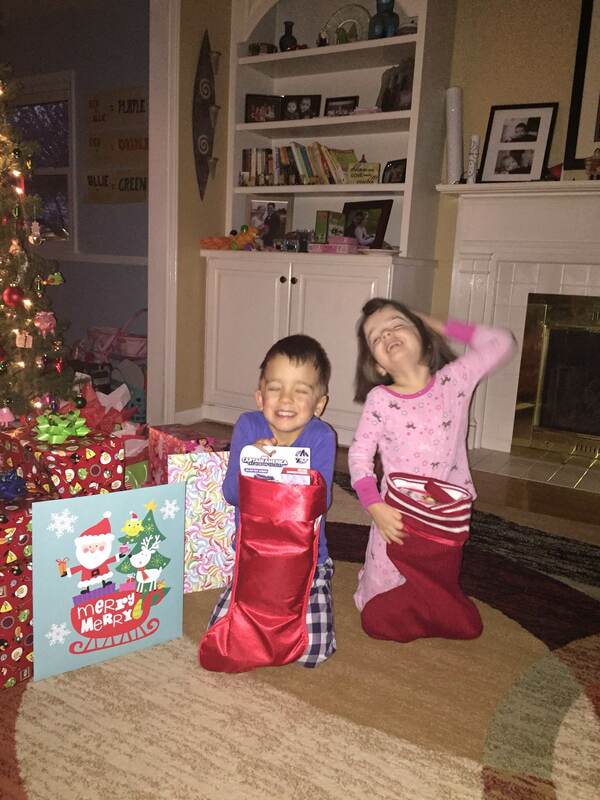 On Christmas morning, Grant and Maria opened their three packages and were both very excited to see that Santa knew exactly what they wanted. I can think of few things more enjoyable than watching their enjoyment of the magic of Christmas. Jeremy cooked a big breakfast and we spent the rest of the day being lazy and enjoying their new toys. Jeremy’s parents came over for dinner and, again, the kids were beyond excited for their new toys. We finished Christmas celebrations with my family on Friday evening. I think we managed to make it through all the festivities with no major meltdowns. We will definitely be staying home on Christmas Day next year. We all enjoyed the time together and Grant and Maria were happy to have unrestricted time to enjoy their gifts. Sometimes it’s important to change things up and start new traditions. “Tradition is a guide and not a jailer.” – W. Somerset Maugham. Twelve years ago this week Grant and Maria were conceived and frozen. They were perfectly formed. Suspended in time. Just waiting. At some point during their wait their genetic family, whom we will likely never meet, lovingly donated them; thus, giving them a chance for life out of the freezer. Had they been born based upon their conception date we would be looking at middle school instead of kindergarten. Twelve years ago Jeremy and I had been dating for 2 1/2 years and we were recent college graduates. I was working my first professional HR job and contemplating graduate school. Jeremy had just gotten a job with a local TV station where he would end up working until Grant and Maria were born. Twelve years ago we were discussing marriage, but we weren’t ready yet. Both of us needed to live on our own first. I had recently moved into a small apartment and adopted my first cat and bought my first Christmas decorations. That first Christmas she knocked over the Christmas tree. She’s now a crusty old lady who eats the branches of that same small Charlie Brown tree. Twelve years ago I wanted to adopt after we had “our own” children. Twelve years ago I assumed having a baby would be something that would come easy on the timing that we determined. Twelve years ago God had other plans.